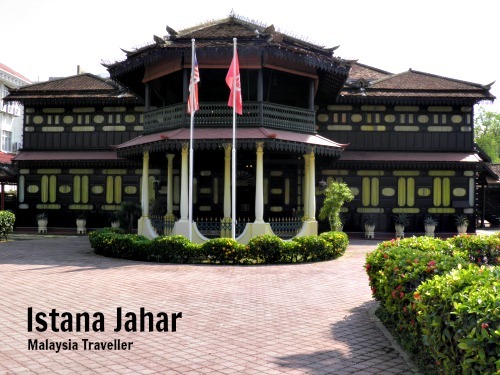 Istana Jahar is a former palace built in 1887 during the reign of Sultan Muhammad II for use as a royal residence by Raja Bendahara Long Kundor, who was third in line to the throne. It was named after a jahar tree which was growing in the grounds at the time. The palace is a wonderful wooden structure with highly polished tropical hardwood floors and wall panels and intricately carved details. Museum Entrance. Shoes off please to protect the beautiful wooden floors. 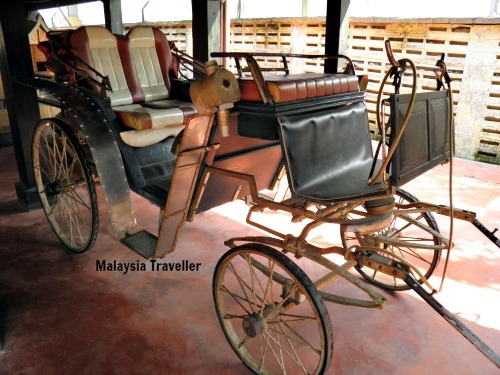 In 1981 the palace was converted into the Kelantan Traditional Royal Ceremonies Museum and is now one of the most popular tourist attractions in Kota Bharu city. Contents include collections of costumes, royal regalia, jewellery and silverware. Details of Kelantan royal genealogy are displayed via family tree charts and photographs. A lot of information is provided about royal rituals relating to events such as weddings, child birth, circumcision, head shaving, eating, funerals and bathing. For example, the Royal Maternity Rules are quite interesting and explain how to get rid of flab from the stomach after childbirth by rubbing with a heated stone wrapped in cloth for several days. Demonstrations of handicraft skills such as batik painting and songket weaving are staged periodically. 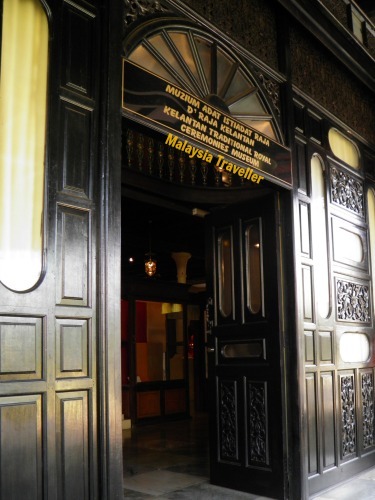 There is a Malay Weapons Gallery showcasing unique traditional weapons such as lembing, kelewang, badik and of course, keris. Outside exhibits include some old carriages and war canoes. 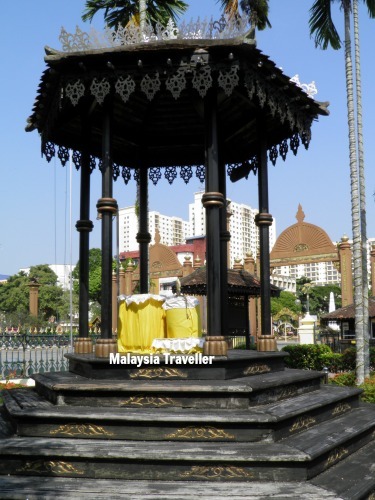 Within the palace compound, near to where a well was located, is a gazebo called The Royal Platform where ceremonial bathing would take place before royal weddings or circumcisions. Saturday to Wednesday 8:30 am - 4:45 pm. Thursday 8:30 am - 3:30 pm. One of the best preserved wooden palaces in the country and interesting exhibits which you do not see every day. A definite must see in Kota Bharu. One hour should be ample time to see everything. 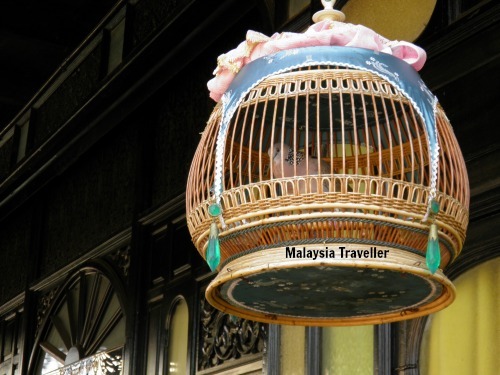 Here is a video from the Malaysia in a Minute series to round off this review. See my Kota Bharu Walking Tour for details of other attractions within walking distance such as Bank Pitis and the Istana Balai Besar, Istana Batu Royal Museum, Masjid Muhammadi, World War II Memorial (Bank Kerapu), the Royal Jetty, look-out tower, Kelantan Islamic Museum, Merdeka Square and the Craft Museum & Handicraft Village.